One thing I didn’t take into account before studying abroad was the fact that I would be in the city. Well, what I mean is that it didn’t occur to me that I would have to rely on public transportation as a way to get around the city in Spain. I’m accustomed to just jumping in my own car, or carpooling with a friend whenever I please. 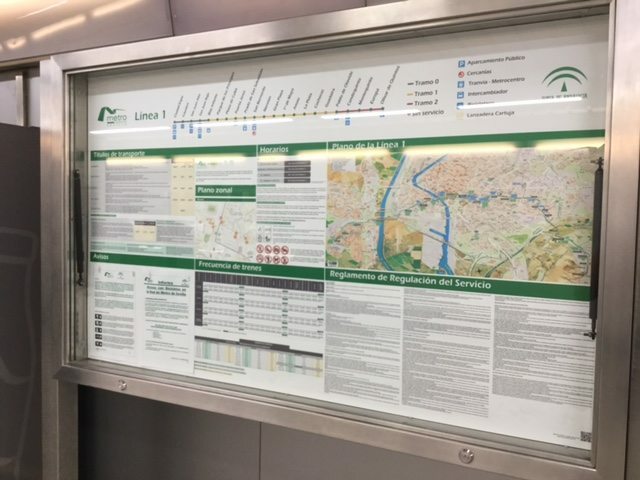 Doesn’t seem like a big deal, but in order to get around the city in Spain quickly and efficiently, it’s recommended to understand the various transportation services offered BEFORE arriving to Spain. This will make things less overwhelming when you arrive. In the U.S. there are rarely public bike services, but in Spain it’s very common and many people depend on it. 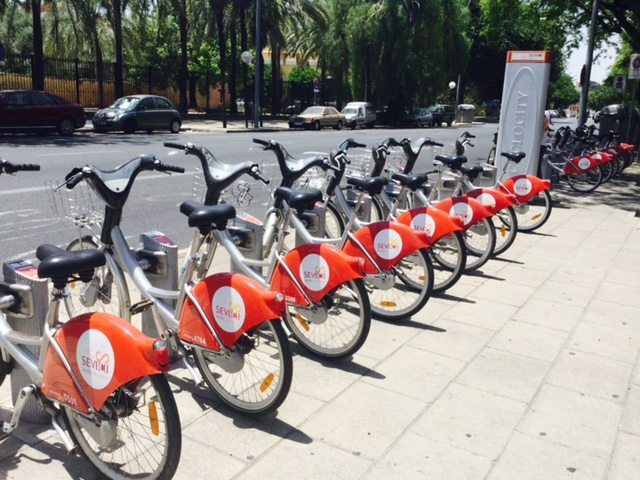 For a few examples, in Seville, the bike service is called Sevici, and in Madrid, it’s called BiciMAD. Through these services various bike stations are located throughout the city. All you need to do is buy a short or long term subscription and use the pin number provided to pick-up a bike when needed. When arriving to your destination, just return the bike to the closest bike station and you’re good to go! Confusing? 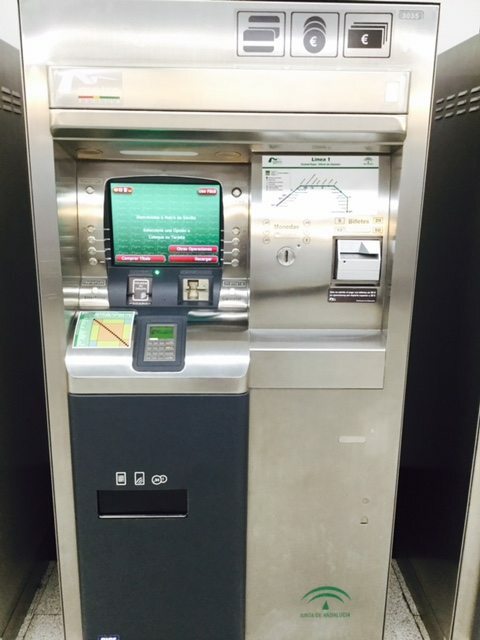 Don’t worry, at every station there is a machine that further explains the process (even in English!). 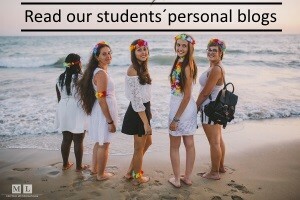 Many Centro MundoLengua study abroad students utilize this service. However, make sure to pinpoint serveral bike stations near you. During the morning hours and end of the work day are times when the bikes are most occupied. Also, depending how long you stay in Spain, it’s possible to buy a bike from a local shop and sell it back to them before leaving. This is common among our semester students. This gives you the freedom to park your bike anywhere without worrying about finding a bike station. 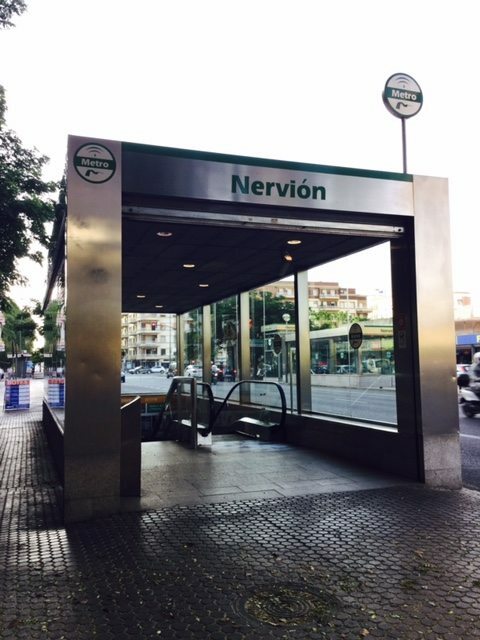 The metro and tram are probably the fastest ways to get around the city in Spain. But, what’s the difference between the two? Well, to give you the most helpful and obvious answer (geared for students), the metro is underground and the tram is above ground. It’s possible that they both make different stops too. The complexity of the metro and tram systems depend on the city. 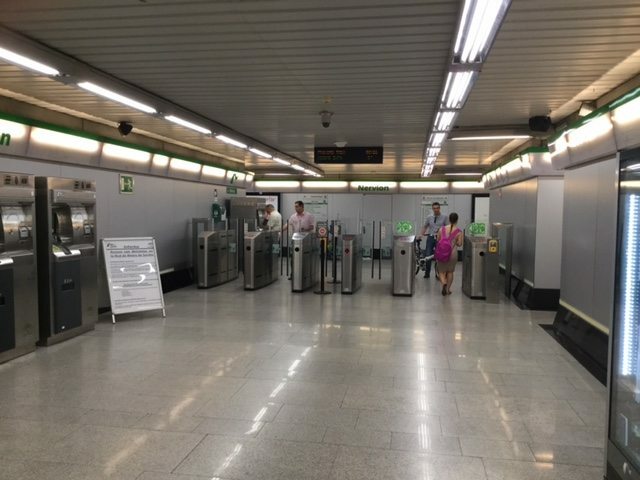 If you are in a bigger city such as Madrid or Barcelona, there will be more route options and a ton more stops to pay attention to. But in Seville, and other smaller cities, it’s not as intimidating. 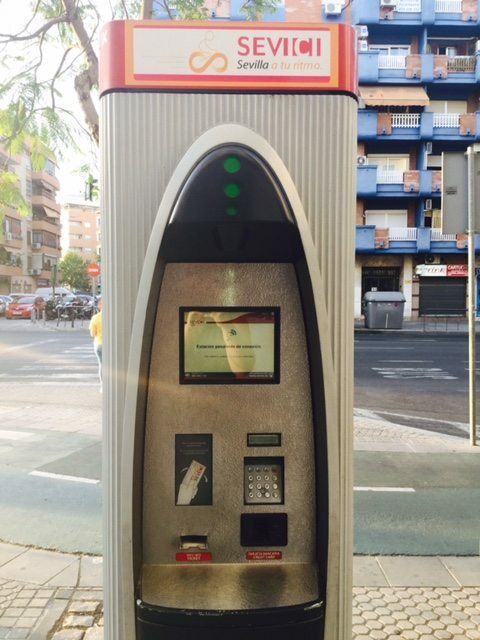 To use this, you need a card which can be purchased right outside the entrance into the metro or tram. Again, make sure to research what route and stop to look for before using the metro or tram. It will be more managable to navigate when you have a plan. Even if you have doubts, look at the maps surrounding the station or ask for help. 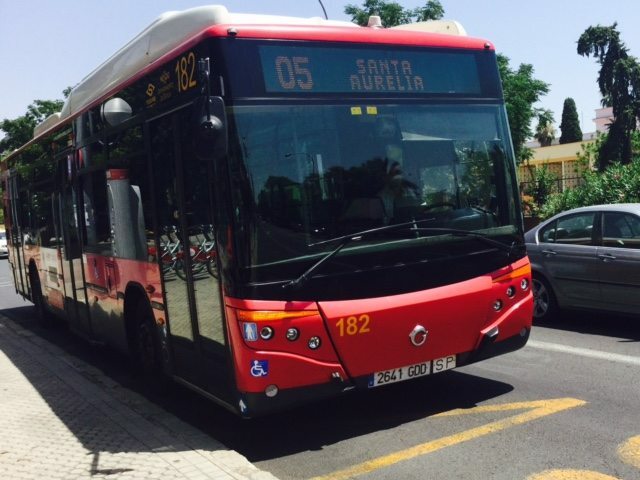 The hands-down most popular way to get around the city in Spain among our study abroad students is the bus. 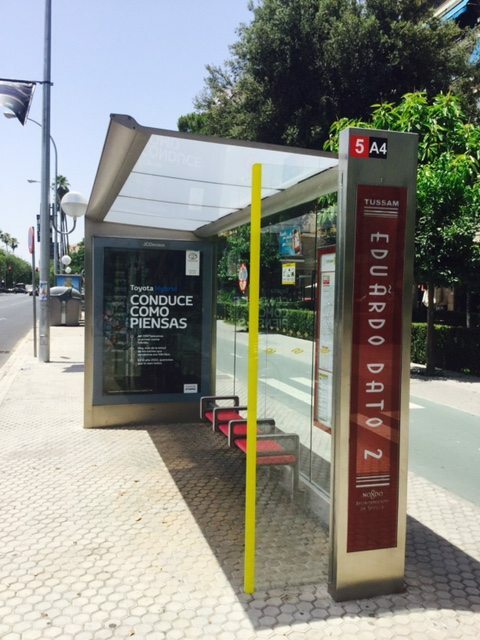 There are tons of bus stops throughout the city with pick-ups every 5-15 minutes. Our Mundolengua cultural monitors even utilize the bus service on a few excursions. There are several bus routes so just make sure to pay attention to the bus number. 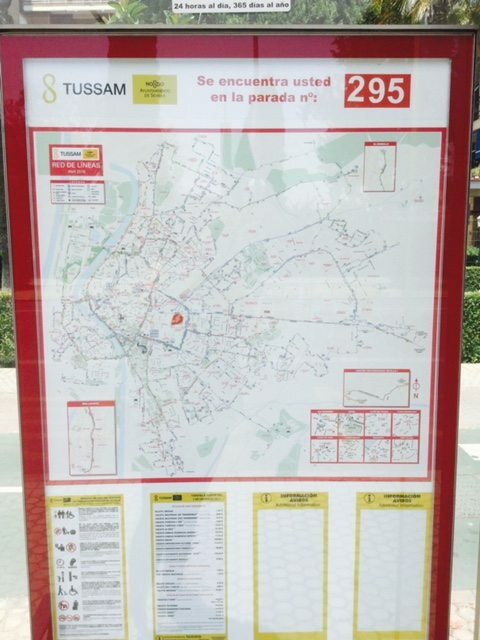 Each bus stop will have a map showing you the route if you need guidance. What’s even more important is how to get on and off the bus. Sounds self explanatory, but it’s quite particular. When you see the bus approaching you have to wave your hand so that the driver knows you want to get on…if not, he doesn’t stop. I learned this the hard way. My first time taking the bus I didn’t wave my hand and it went right past me. The other people waiting at the same stop had to inform me to wave my hand. And, before you get off the bus, you have to press the ¨STOP¨ button which lets the driver know that at the next stop, you need to get off. If no one presses the stop button, the exit doors won’t open. Once inside the bus, it’s very obvious where you can find the stop buttons. Most people usually have a bus card, but you can also pay in cash. If you plan on taking the bus frequently, I suggest getting a bus card because it will be cheaper than paying for every individual ride. This is the most direct form of getting around the city in Spain. You can wave a taxi down no matter your location and without having to find a particular taxi waiting point. 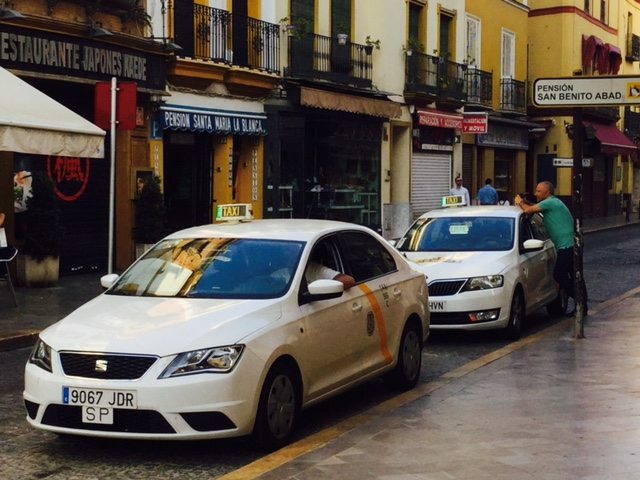 However, there are taxi stops in places where people use them the most, for example, in the city center. The benefit of taking a taxi is that you are taken directly to your location…you could give a point of interest or an address and that’s exactly where you´ll go. You don’t have to worry about a public transportation card, route numbers, or waiting times. But, traveling by taxi can be expensive. Sometimes taxi drivers charge foreigners more because they are unfamiliar with the rate and are less likely to argue over the price. To avoid this, calculate an estimated cost to your destination online. With that information in mind, ask the taxi driver how much it will cost to get to your destination before getting in the taxi. If he estimates something way off, then move along to the next available driver. Also, consider taking a taxi with multiple people. Spliting the cost will be cheaper for everyone individually. Taxi stop in the city center. Be old-fashion! 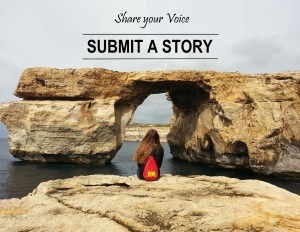 Get around the city in Spain by walking. It’s healthier and, best of all, you don’t have to worry about anything! Just make sure you carry a map with you. This is a great way to learn the city. If you get lost, just pop in a local store or stop someone on the sidewalk for directions. Don’t forget to leave yourself plenty of time to get to your destination!